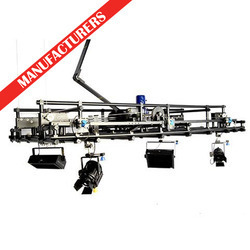 Exporter of a wide range of products which include motorized fly grid, motorized teleclimber, motorized telescope, dj t-bar light stand and manual dimmer. Since our inception, we are instrumental in offering premium quality Motorized Fly Grid. The offered fly grids are use for making films & offers protection against wire slack and over load. These fly grids are designed with advance technology by using material. As per the variegated requirements of our clients, we are offering a broad collection of Motorized Teleclimber. This product is designed using the finest material and sophisticated technology under the observation of our experts. To keep the client satisfied, we provide high quality array of Motorized Telescope. The offered motorized telescope is checked in terms of quality for dispatching a defect free range. Our provided motorized telescope is manufactured with advanced technology and top quality material in accordance with quality norms. 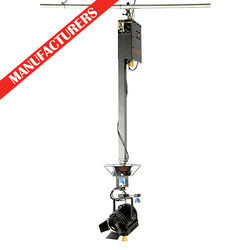 We have gained a remarkable position in the industry by offering a qualitative assortment of DJ T-bar Light Stand. 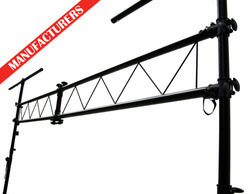 As per the leading techniques, this light stand is manufactured with superior grade material in accordance with industry norms. By keeping track with the latest market development, we are engaged in providing a superior quality range of Manual Dimmer. The offered manual dimmer provides an easy-to-operate tap switch that turns lights on/off.